I learned about this cool little Pyro Creations device from a TAOFLEDERMAUS video. 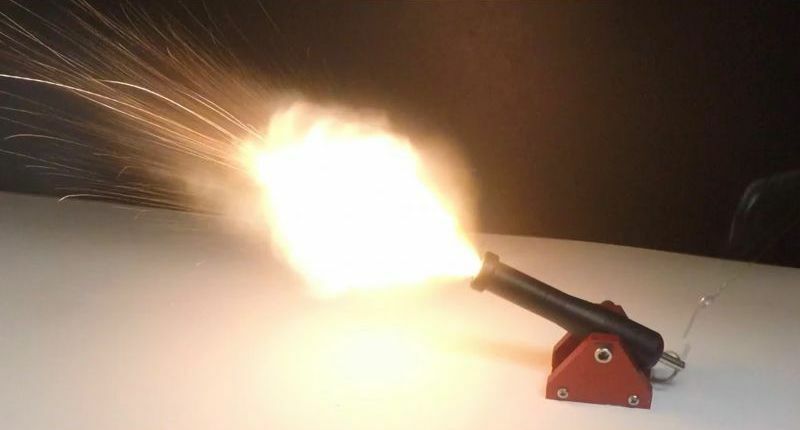 This is a miniature cannon that fires muzzle loaded projectiles powered by breech loaded 209 shotgun primers. The reason it is called 3 in 1 is that it can be equipped with one of the three barrels of .17, .22 or .30 caliber. In order to load the Trigger Cannon, you need to unscrew the barrel, pull the tail of the striker until the pinhole is exposed and place the safety/trigger pin into the hole, load the projectile of the proper caliber, load the shotgun primer and thread the loaded barrel back into the main body of the cannon. Now your artillery piece is ready to send some lead downrange. All you need is to pull the safety pin out. Below you can find the mentioned TAOFLEDERMAUS video, where you can see how the Trigger Cannon works and learn about what the shells fired from this nano gun are capable of. 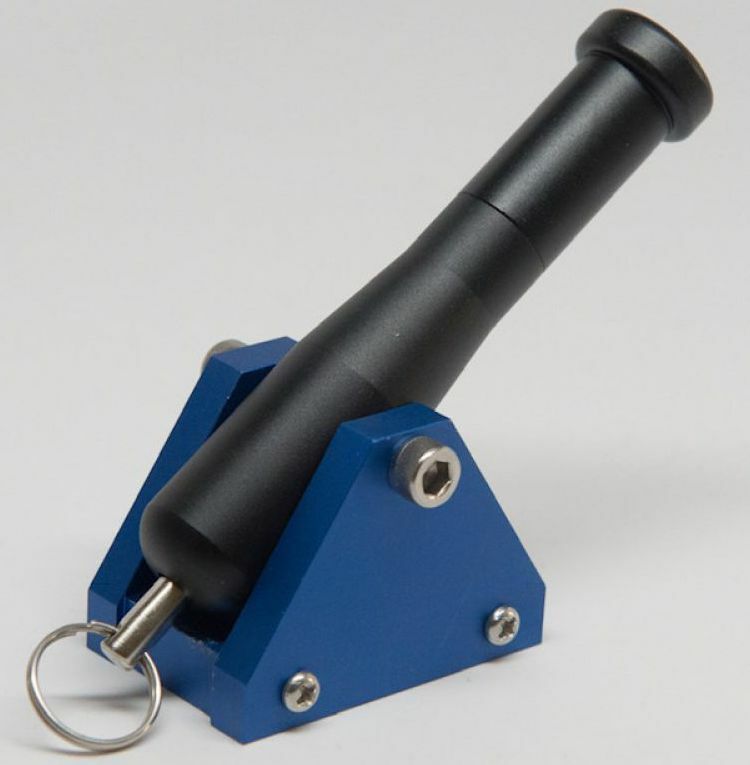 The elevation of the cannon can be fixed by tightening the two hex screws holding the cannon to the bed. There is also a hole drilled in the base of the bed that will allow you to attach the Trigger Cannon to a board via a wood screw. Here is also a video found on Pyro Creations website. Now, bear in mind that this cute little cannon is not a toy and you should apply the firearm safety rules to this micro artillery piece, too. 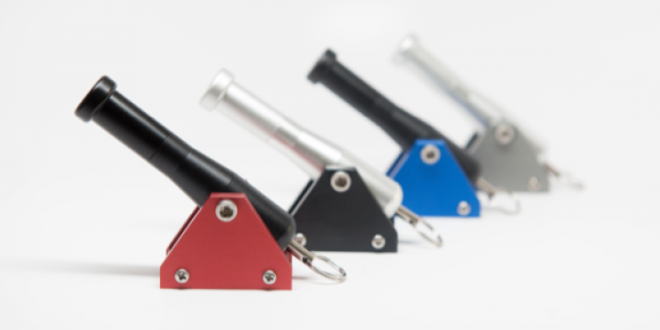 The Pyro Creations 3 in 1 Trigger Cannon comes with black or silver barrel color options and red, blue, black or gun metal colored beds. It is listed on the company’s website at an MSRP of $49.99. It comes standard with a .22 caliber barrel and a ramrod. 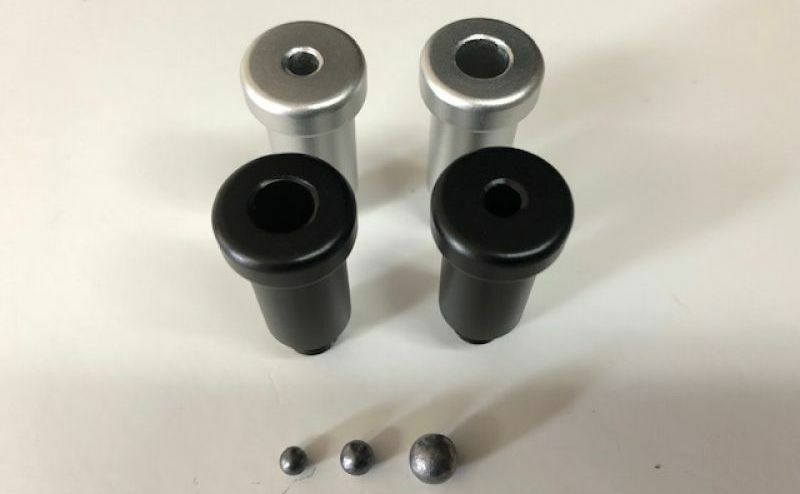 The .17 and .30 caliber barrels are sold separately at a price of $14.95 each or $23.95 for the set of two barrels.